AFB's Public Policy and Research Center strives to accurately and persuasively understand and describe the characteristics, experiences, needs, and capabilities of people who are blind or visually impaired. We are working hard to identify and pursue the most effective policies that best serve students who are visually impaired. We recognize the critical importance of economic self-sufficiency and empowerment for people who are blind and visually impaired. Our policy, research, and advocacy efforts are focused on transforming services and support for older people who are losing their vision. 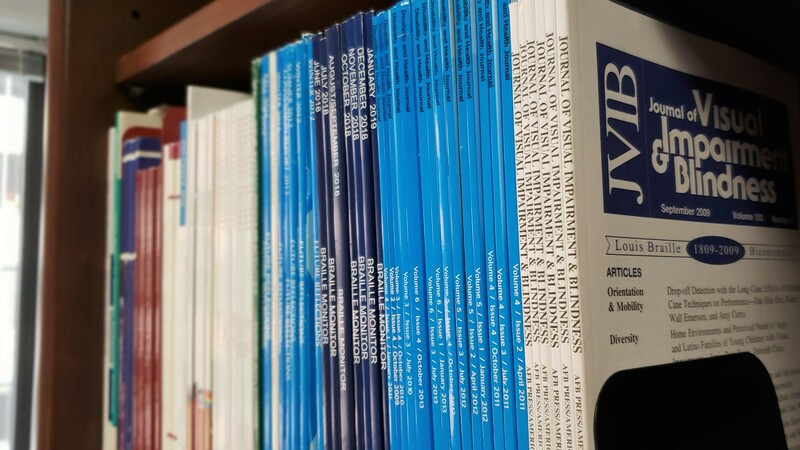 The Journal of Visual Impairment & Blindness (JVIB) is the international peer-reviewed journal of record in the field, delivering current research and best practice information, commentary from authoritative experts on critical topics, and more. How many adult Americans have trouble seeing? How many seniors in the U.S. experience vision loss? How many children in the U.S. are blind or visually impaired? Stephanie Enyart, Chief Public Policy and Research Officer, has 20 years’ experience advocating for people with disabilities. George Abbott, Chief Knowledge Advancement Officer, is responsible for developing and implementing AFB's employment initiatives, as well as coordinating the annual AFB Leadership Conference. Dr. Paola Chanes-Mora, Policy Research Specialist, holds a Ph.D. in public health and has conducted both qualitative and quantitative data analysis.